Firstly, Happy New Year, hope you all had a good Christmas. Secondly, sorry it’s been so long since our last post on our travel prep/plans, but it’s been busy, stressful and strange living at the in laws, dealing with Christmas, injuries, illness and more. Looking for our new home on wheels took much longer than expected. When we started this crazy adventure, put the house on the market and started this blog, we were sure we would get a brand new pick up truck and fifth wheel. We even posted about why this was our choice. Well many months on things have changed in that way they always do. George has unfortunately, been made redundant, currently working his 3 month notice! This has obviously thrown a spanner in the works and we are having to reassess and slightly alter our plan. We have sold the house and are now living with the in-laws. We are still going travelling but in a different type of vehicle. We have decided to reduce our budget and travel costs by looking at second hand American RVs. 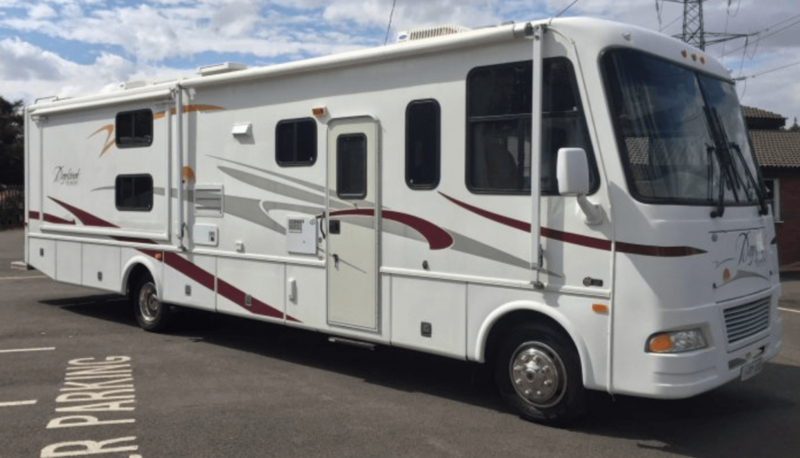 We choose to look at American RVs as they are large vans, similar in size to a fifth wheel, with slides making them plenty large enough to live in full time. Being second hand they are much cheaper, although this brings issues of wear and tear. But being an RV we will be able to free camp, hopefully reducing our daily costs. There are fewer American RVs for sale than European vans and they are spread out far and wide, so we have been doing plenty of miles and hotel stays, at one point it felt like we were away every weekend! We have looked at many dealers and several private sales. We have decided on a layout that we like and think will work for us, but of course, the layouts we really want are slightly out of budget as always and there are always compromises to make. Ideally, we decided we needed a van at least 32ft, with separate main bedroom, reasonable size bathroom, dinette that can be made into a permenant bed for Olivia, place to mount a third proper travel seat for Olivia, an oven, solar panels and LPG. We visited several dealers and saw 3 private RVs, stayed in many hotels and covered well over a thousand miles. A lot of the vans have been very disappointing, with damp, de-lamination, damaged roofs, and in generally poor condition and looking nothing like their pictures. It has been pretty disheartening especially with all the driving and various hotel stays, some of which were terrible. We found a van we were very interested in, did lots of research and even spoke with the mechanic that looked after it for the last 10 years. We had a few concerns, but it was in the best condition by far. When we first saw it we spent 3 hours looking around, checking for issues and chatting to the owners and felt very at home. It had LPG, some solar, an oven and a good layout, it even had a small desk in the bedroom. We were seeing another van the next day so left. The other van was a no-go so a few weeks later we took the 362-mile round trip for a second look. Unfortunately, it was not meant to be. On second inspection we found more issues. It had been sat outside in the rain for 4 weeks since our first viewing and the areas of concern from the first visit had gotten worse! More areas of concern showed up, and where we had been intending to purchase it that day, we had to go home and think hard about what to do next. We were heartbroken. We went home and regrouped, discussed all our options and searched and searched for more vans. We could not find anything new in our price range. We finally decided to up our budget. We continued on with our planning, searching and travel prep. 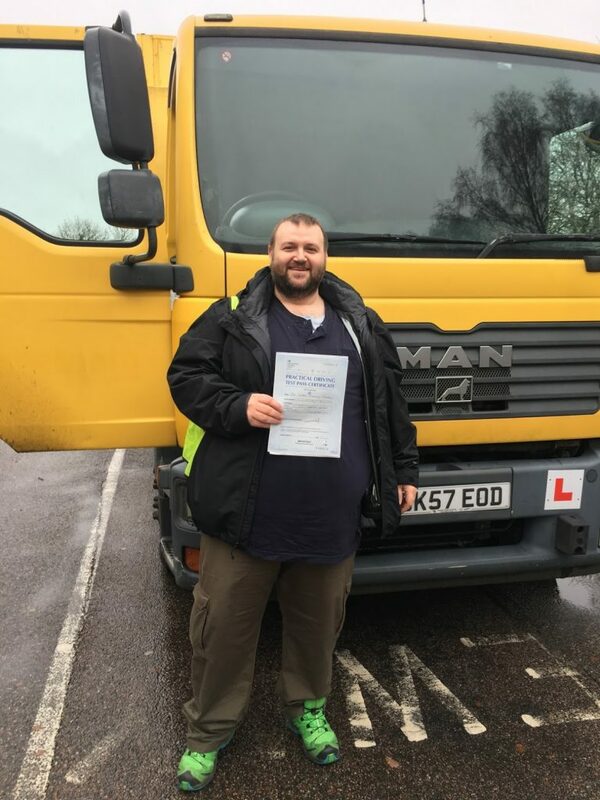 George has been amazing as ever and again for the family has taken on a new category C driving licence (and passed of course). He passed his medical, theory, hazard perception and then finally his test on the 5 December. We are so proud of him. A few weeks later we found two RVs that were what we classed as our perfect spec. LPG, Solar, Bunk beds, Main bed, dinette, sofa and kitchen with oven, but would they actually be in any better condition? One of them was at a well-known dealer, Signature Motorhomes, so we gave them a call and asked them a million questions about the van but most importantly got them to promise us there was no damp or de-lamination. Once all our questions were answered and we were satisfied, we decided we would drive the 346 mile round trip and spend another night in a hotel to see it. We turned up apprehensive, unsure of what we would find and how we would be treated. The staff were amazing, greeted us with smiles, took us to the van, quickly showed us around, turned the heating on and left us to go over it with a fine tooth comb and our damp meter. They checked in on us a few times, answered questions, brought us drinks and took us for a test drive. We were there 4 hours at least. There were a few minor issues but they assured us that they do a full inspection and habitation check before it leaves them. All seals will be redone, the entire RV checked for any issues and would come with a 3 month warranty. We loved it! Next came the negotiations, we managed to agree on a deal that involved getting new tyres all round, 2 new TVs, 4 new batteries, uprated electrics, new windscreen and Satellite updated. We were over them moon. Paid our deposit and left. WE HAVE FOUND OUR RV! Then came the LONG wait! As it was the week before Christmas, they were shutting down for the holidays. It needed some work and would be going into the workshop so we would have to wait till January for collection. Well yesterday we got the call to say it have Passed its MOT and is ready for collection on TUESDAY!! We are all mega excited, feel totally unprepared but I am sure we will be fine. Nature loving wife, mum, home educator and dog owner living in an RV trying to get the most out of life and raise a well rounded child. @2019 - Seeking Sights. All Right Reserved.